Department of Anthropology and Geography, California State University, Stanislaus, 1 University Circle, Turlock, CA 95382. 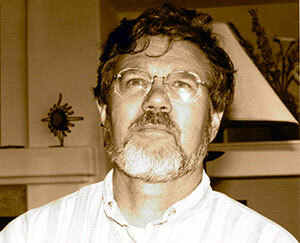 Eric Karlstrom began teaching at California State University, Stanislaus in 1990, after five years as an Assistant Professor at Northern Arizona University, one year as a Visiting Professor at The University of Kansas, and one year as an Adjunct Professor at the University of Wyoming. At CSUS, in addition, to teaching physical and environmental geography courses (Geomorphology, Climatology, Introduction to Physical Geography, Human Ecology), he has also taught courses cross-listed with the Geology department (Geology/Geography of Soils, Physical and Environmental Geology), and an honors course (State of the World: The Environmental Perspective). Throughout his career, Dr. Karlstrom has continued his research program in soils and geomorphology as means of reconstructing Quaternary paleoclimates. This research has involved field investigations in Montana, northern Arizona, Kansas, Wyoming, Alberta, and British Columbia. In the 1980’s, Karlstrom served as an officer (Treasurer) of the American Quaternary Association. I do this as a public service. I do not have tax-exempt status, but I appreciate any contributions that will support my ongoing research / education efforts, maintaining and upgrading my websites, etc. And / or, if you enjoy music, you might visit my website, www.erickarlstrom.com, and purchase some of my many Cds and / or movie. Thank you! www.naturalclimatechange.us, which includes articles and information regarding the relative importance of natural vs. human-induced climate changes. For this website, Dr. Karlstrom draws on his 30+ years of research on Quaternary paleoclimates. EDUCATION: Ph.D. (Soils and Geomorphology), Department of Geography, University of Calgary, Calgary, Alberta, Canada (1981); M.A. (Soils-Physical Geography), Department of Geography, University of Wyoming, Laramie, Wyoming (1977); B.S. (Anthropology), high school teaching certificate, and post-graduate coursework (Geography), 1971, 1974, and 1975. Ph.D. DISSERTATION: Late Cenozoic soils of the Glacier and Waterton Parks area, northwestern Montana and southwestern Alberta, and paleoclimatic implications, 1981, Department of Geography, The University of Calgary, Calgary, Alberta, Canada, 358 pp. AREAS OF RESEARCH SPECIALIZATION: Geomorphology, soils, Quaternary environments and paleoclimates; paleoenvironmental interpretation of buried and relict paleosols, glacial and periglacial features, and alluvial terrace sequences, geoarchaeology, energy and related contemporary environmental issues. PUBLICATIONS: Author or co-author of many publications in refereed national and international earth science journals, including Physical Geography, Geoarchaeology, Geological Society of America Bulletin, Catena, Palaeogeography, Palaeoclimatology, Palaeoecology, Arctic, Antarctic and Alpine Research, Boreas, Canadian Journal of Earth Sciences, Permafrost and Periglacial Processes, and Geographie Physique et Quaternaire. He is also author of many other papers published in books, guidebooks, technical reports, and non-refereed journals.